Third in a three-part series that focuses on making visible the thriving natural hair movement among Afro-descended Costa Ricans within the context of the larger natural hair revolution occurring throughout the Americas and the Caribbean. Read Part One and Part Two. As a person who has had “locs” for 23 years, I wondered what it would be like maintaining my look in Costa Rica. When I lived in New York, locs were commonplace and it was easy to walk into a hair salon to secure an appointment for a wash, re-twist and a style for under $100. I have lived in Costa Rica since June 2014 and have yet to find someone to re-twist my locs, so I do it myself, as well as maintain my husband´s hair. My go-to style for my very heavy, long locs is usually a pull-back ponytail or wrap up with a colored cloth or African print. I am in the habit of wearing my hair in this way because I have had very bad experiences with strangers putting their hands in my hair. It is not only frightening and violating, but also offensive. I was never cultured to believe that someone else´s body was mine to touch at random; I am always stunned by the “petting zoo” phenomenon. When I decided to loc in 1994, I understood the political and spiritual commitment to the hairstyle: I declared a lifelong celebration of my natural hair. I wondered about what stereotypes I would encounter in Costa Rica around my hair, as the global and general association is usually “dreadlocks = a marijuana smoker and a dirty, lazy person.” Of course, I am not described by any of these misnomers. Happily, most people in Costa Rica who engage with my hair feel my locs are “cool,” though they still hold many misconceptions. I often educate people on the language surrounding locs: “dread” is a label that colonizers applied to the hairstyle when it emerged in the Caribbean, especially Jamaica. There is nothing “dreadful” about my hair in its natural form, so I caution use of the word. “Loc” is the term I use (though others use “locks”) as is it signifies the process of what afro hair does organically; without combing, it locks into tight curls where there is continual new growth at the root. I have had locs so lengthy that I could sit on them, and have cut them four times since I started locing for various spiritual reasons, and because of heaviness. It was with sheer joy that I became friends with Afro-Tica historian Dr. Carmen Hutchinson-Miller, who is the only trained Sisterlocks consultant in Costa Rica, and the mentor of a soon-to-be second Afro-Tica consultant. Her story is truly fascinating. Born in Limón, Carmen always had long, thick natural hair. Her mother took prideful care of her hair, using Vaseline and other products from relatives who brought them from the United States. It was only on “special occasions” that Carmen was allowed to “press” and straighten her hair. Upon entering high school in Limón, Carmen had more freedom to take care of her own hair and became very creative with natural hair styles. When Carmen moved to San José to attend university in the 1980s, the colder climate disagreed with her hair and it began falling out. She then began to chemically straighten her hair but ultimately decided to do the BC – big chop – as she balanced life as a student and a mother. When the opportunity came to complete a PhD at the University of the West Indies, Barbados, Carmen jumped at the chance. The politics of finding the right hair care professional to do her hair, alongside graduate work and acclimating culturally, proved challenging; Carmen decided to do another big chop, opting for a stylish “man cut” with a local “Bajan” barber. As her natural hair grew quickly, she alternated between twists and low cuts. 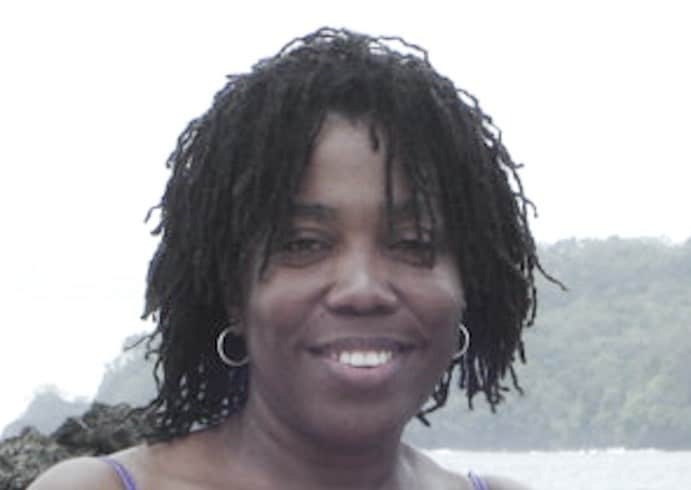 It was in Barbados as a doctoral student that Carmen was first introduced to Sisterlocks. 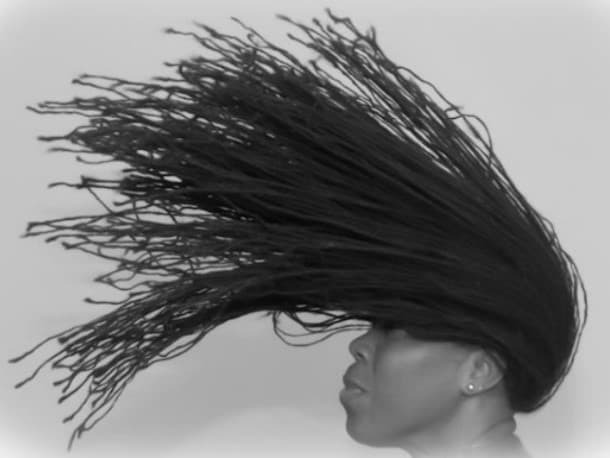 This unique hair locking technique was created by Dr. Joan Cornell, an African American scholar working on the subject of Afro-hair in the late 1990s. Sisterlocks are created using special tools and can only be started and maintained by licensed consultants globally. Certified consultants are placed on a global database, and those who need re-tightening services can set up appointments in advance. Sisterlocks is a specialized form of styling micro-locks that is highly versatile and stimulates fast hair growth. The locks are fashioned into precise sizes and most clients wear upwards of 200 locks in their hair, making the initial installation and re-tightening process time consuming, but worth it. 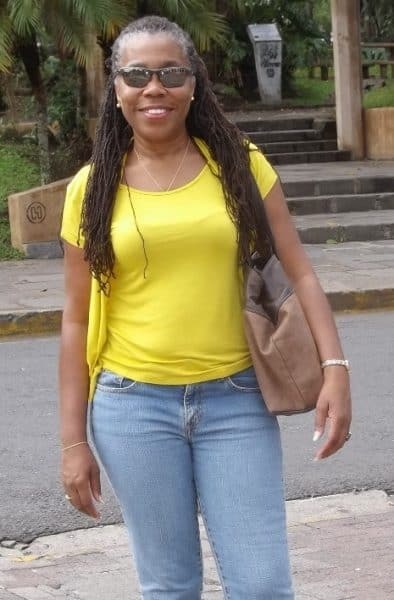 Carmen is the first certified Sisterlocks consultant in Costa Rica and the first to wear the style in this country. Her Sisterlocks were installed in 2003 by Trinidadian consultant Valmy Gibson; Carmen received her formal certification as a consultant in 2008 in Barbados. Consultants work under the implicit agreement that they will not teach clients the locking techniques, but encourage them to pursue formal training and certification. What attracted Carmen to the hairstyle was the scholarly aspect of studying Afro-hair history and politics. As she works with clients, she shares this cultural and political history so that the knowledge is transmitted and the style has more meaning than just a fashion trend or fad. The cost of installation is expensive – $400 in Costa Rica and about $700 and upwards in the United States. It takes two days, and there is always a hair consultation prior to beginning the Sisterlocks technique. The client must have only 4-6 inches of hair to begin. 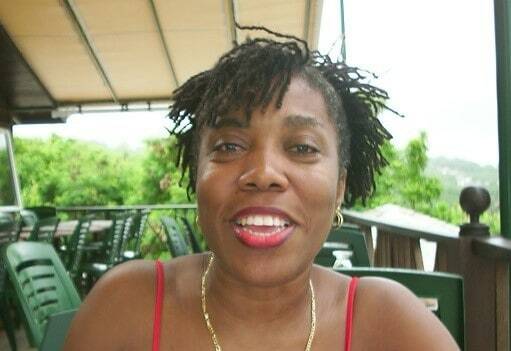 Carmen returned to Costa Rica after twenty years in Barbados in 2013 and began her Sisterlocks business, Proud Locks. As the only certified consultant in the country, she is frequently sought out by travelers who need hair maintenance. She also has local clients that are both Afro-Ticos and expats of African descent. The business has been slowly growing. Part of the commitment to the Sisterlocks hairstyle is to have the hair re-tightened once a month. Carmen charges a flat fee of 25,000 colones ($43 US) for this work as it is labor intensive. Since many of her regular clients live in and around Limón, Carmen travels there once a month to maintain and install Sisterlocks. One of the highlights of the Sisterlocks philosophy, beyond the celebration of natural afro hair, is the concept of legacy, mentoring the younger generations to become consultants. One of Carmen´s steady Afro-Tica clients, Nazhma Morris, is in the process of becoming a consultant through a training in New York starting in August 2017. Once certified, she will be the second Sisterlocks consultant in Costa Rica. In reflecting on her hair decisions, Carmen said that Sisterlocks have given her absolute hair freedom to style and be creative with her hair, while celebrating the fullness and healthy growth that is stimulated from the hairstyle. In Costa Rica where “afro-hair” still faces many stigmas around representation and “professionalism,” Sisterlocks can be styled neatly and are always maintained for presentability. One additional perk is that an abundance of hair care products are not needed to take care of the hair, which is one of the main issues for natural afro-hair wearers globally. Many have decided to create their own products, especially Afro-ticas, as access to products from the U.S. (packed with damaging chemicals), are difficult and expensive to get. In speaking with Carmen, it is clear that her personal and academic hair journey stands witness to the versatility of afro-hair and she should be celebrated as a pioneer in natural hair care in Costa Rica. 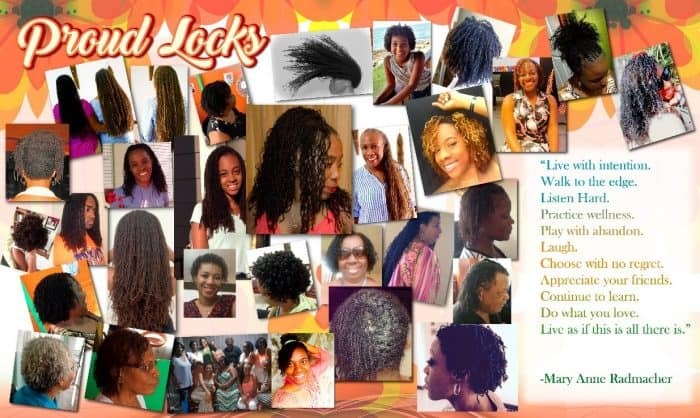 For more information on Sisterlocks in Costa Rica, contact consultant Carmen Hutchinson Miller (tel 506-7009-0176, email proudlockscr@gmail.com). Read more from Natasha Gordon-Chipembere here. Natasha Gordon-Chipembere holds a PhD in English. She is a writer, professor and founder of the Tengo Sed Writers Retreats. In June 2014, she moved to Heredia, Costa Rica with her family from New York. She may be reached at indisunflower@gmail.com. Her column “Musings from an Afro-Costa Rican” is published monthly. Will Pinto return to the World Cup?